ReThink Cancer is not only a website but a movement dedicated to educating and offfering information about cancer prevention by way of holistic therapies and nutrition. In addition we want to highlight the importance of tradional treatment and serve as aportal to educate the general public of the newest and most affective preventative treatments available. 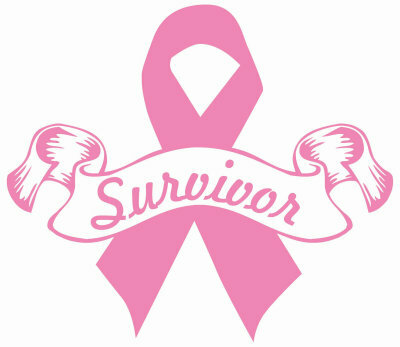 Our mission is to assist in reducing overall cancer rates with a special focus on Breast Cancer. 1. think again about (something such as a policy or course of action), especially in order to make changes to it. "the government was forced to rethink its plans"
1. a reassessment of something, especially one that results in changes being made. "a last-minute rethink of their tactics"
Proper nutrition is a key component in Cancer Prevention. 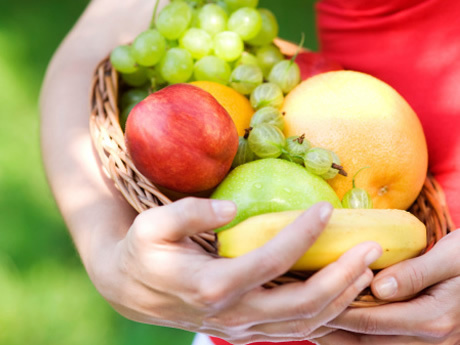 Our bodies need a diet rich in antioxidants, fiber, and essential omega fatty acids. A good understanding of what cancer is and how it works is vital in assisting us with choosing which path is right for us. 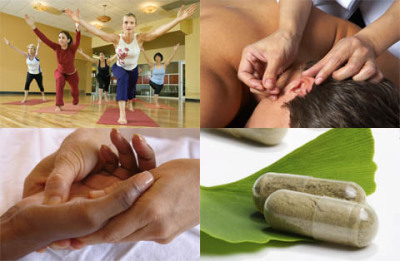 Holistic Therapy has been around for centuries and has taken various forms and titles. Holistic therapy is simply giving your body an opportunity to heal itself naturally by applying the necessary practices and lifestyle adjustments. Avocados: “Avocados have great anti-inflammatory properties,” said Laura Flores, a San Diego-based nutritionist. They contain “phytosterols, carotenoid antioxidants, omega 3 fatty acids and polyhydroxolated fatty alcohols” — compounds that can help reduce inflammation. A 2013 study in the journal Food & Function found that people who ate a hamburger with avocado had lower CRP levels four hours after eating than those who did not. Broccoli and other cruciferous vegetables: Broccoli, Brussels sprout, kale and cauliflower and other green leafy veggies contain sulforaphane, which is associated with blocking enzymes that are linked to joint deterioration and, consequently, chronic inflammation, according to Victoria Jarzabkowski, a nutritionist with the Fitness Institute of Texas at the University of Texas at Austin. Sulforaphane also may be able to prevent or reverse damage to blood vessel linings caused by chronic blood sugar problems and inflammation. Watermelon: Watermelon contains lycopene, a cellular inhibitor for various inflammatory processes. It also works as an antioxidant to neutralize free radicals. Additionally, watermelon contains choline, which helps keep chronic inflammation down, according to a 2006 article published in Shock medical journal. 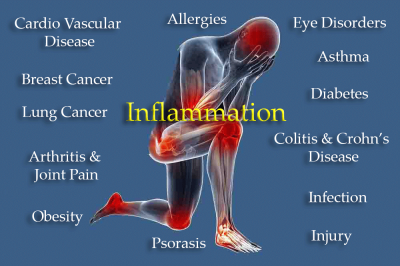 You've heard of anti-inflammatory medications and anti-inflammatory diets, but do you really know what inflammation is? In short, it's the body's response to outside threats like stress, infection, or toxic chemicals. When the immune system senses one of these dangers, it responds by activating proteins meant to protect cells and tissues. "In a healthy situation, inflammation serves as a good friend to our body," says Mansour Mohamadzadeh, PhD, director of the Center for Inflammation and Mucosal Immunology at the University of Florida." "But if immune cells start to overreact, that inflammation can be totally directed against us." This type of harmful, chronic inflammation can have a number of causes, including a virus or bacteria, an autoimmune disorder, sugary and fatty foods, or the way you handle stress. Our ReThink Cancer Resource and Prevention Guide Poster is a 12x18 full color poster with cancer prevention information and wellness tips. 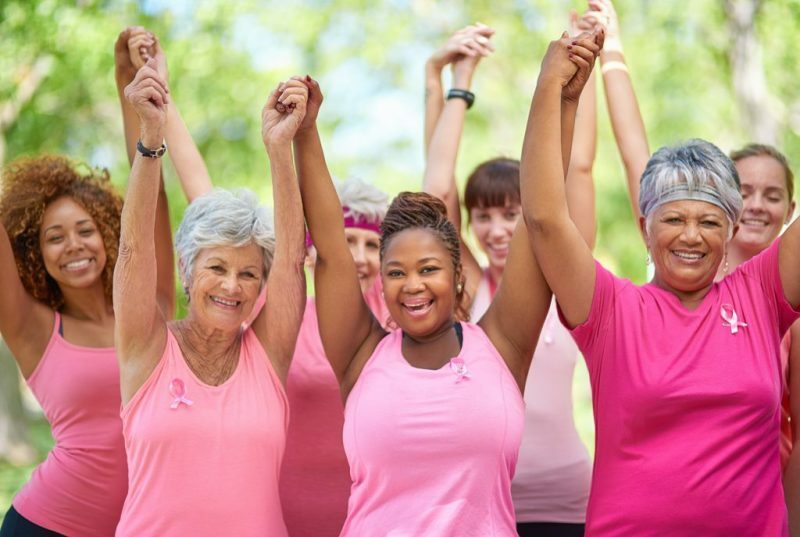 In addition it has valuable resources for cancer services including treatment and prevention. Ad spaces are available on our Resource Guide Poster. This is a great way for doctors offices, cancer centers, holistic practitioners, physical therapists, senior centers, and businesses that provide wellness services to gain visibility and exposure.